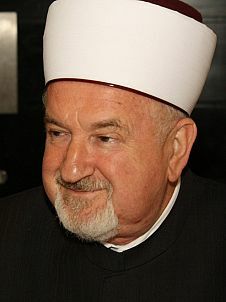 Mustafa Ceric served as the Grand Mufti of Bosnia from 1993 until 2012, when he retired. Ceric is outspoken on interfaith initiatives in the Muslim world. In 2006, Ceric issued the Declaration of European Muslims to the European Union stating that European Muslims are dedicated to the common values of law, tolerance, democracy and human rights, the value of life, faith freedom, property, and dignity. In 2008, Ceric led the Muslim delegation of the A Common Word initiative to the Vatican. In 2015 Ceric wrote A Friendly Letter to the European Bishops, declaring, “We accept you and ask that you accept us.” He is President of the World Bosnian Congress.